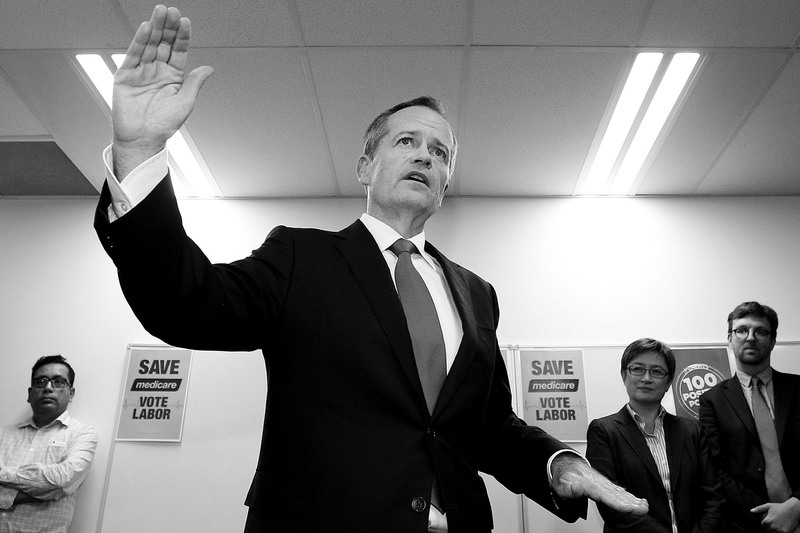 Leader of the Opposition, Bill Shorten vistis the South Australian Labor Campaign Office on June 23, 2016 in Adelaide, Australia. Bill Shorten strongly reaffirmed Labor's commitment to the non privatisation of Medicare. Labor's Positive Plan for South Australia will include $500m for the AdeLINK tram project, funding for schools and hospitals and a $100 million for local steelmaker Arrium.